I run a small rescue from my home we take cats and kittens from Sydney pounds on death row and also kittens dumped at our local vets. 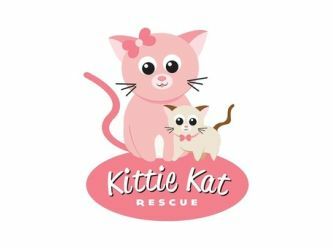 I run Kittie Kat Rescue on my own with my mum and we fund it all from our own pockets. We raise every cat and kitten as our own and they are all given the best start to life with all the best food and vet treatments. We use Royal Canin & Advance for feeding. All our babies are loving and smoochy and we strongly believe this is due to the way we have raised them. We only adopt to safe indoor homes that are smoke free or have a safe run or enclosure for the cat. We put so much time and effort into raising our babies we would hate to see them adopted to a outside home and be killed on the road or a dog or worse. Most of our babies have come from terrible back grounds and they deserve a second chance at life and to be given the best love and care for the rest of their lives. 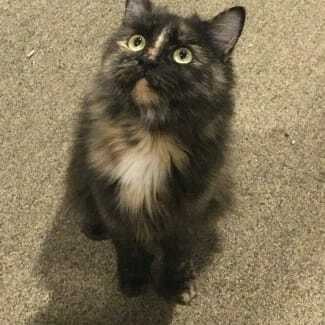 Millie is a lovely tortie who was saved from Hawkesbury Pound last year with her two babies who have been adopted together. She is your typical naughty little tortie who rules the house and thinks she is a Princess - well she certainly looks and acts like one. 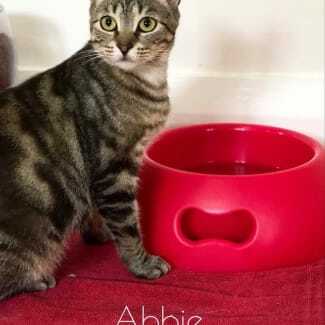 She is very adorable and very chilled and fits in anywhere. Doesn’t mind other cats. She has a beautiful long Maine and a stunning face and tail and is ready and waiting to meet you today. Chanel was a little girl found on the streets with her Siblings and brought into the vet clinic until we rescued them all. We had a Mum cat in care with only one baby so we put Chanel and her Brothers with Mumma Mia and she excepted them with love and was the best Mummy to them all. Chanel is a shy but very sweet girl and needs someone that will allow her the time to come around and trust. They all had very rough starts to life and sometimes it takes a while to trust new people. Chanel loves all other cats. 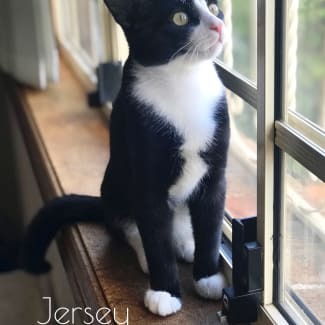 Jersey & Dakota are friendly little boys who need each other or another cat for company. They are currently being fostered together so it would be amazing if the two got adopted together. 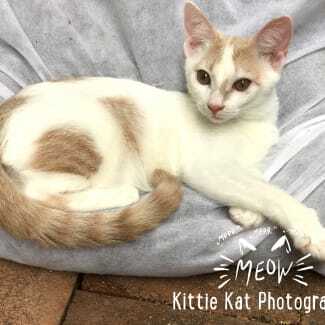 I don’t want either kitten going to a home without another kitty to play with as they need a a cat friend for company as they are young boys. They are both lovely little boys and get on well in new situations and around other cats. They were both rescued from the bush lands in the Gladesville area when they were around 6 weeks old and they still haven’t found their forever home yet which is very sad. 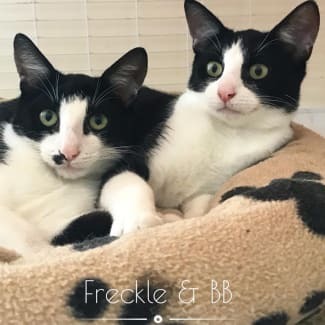 Beautiful BB and Freckle have almost finished their quarantine time and are taking inquiries for a new home. These two adorable little Brothers were rescued a few weeks ago from the Warwick Farm situation. They were timid and scared and B.B was hissing but now they are completely turned around and love to purr and cuddle with me. Their Brothers Batman & Jet have found a home together so now it’s their turn. They are around 4-5 months old and just loving being around you for cuddles. What a difference love makes to a little soul.